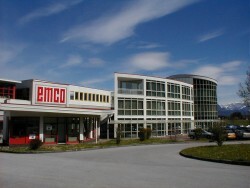 Günther Kuhn, who took over A-Tec last week, promised to keep the Emco factory in Salzburg. Workers already feared a takeover by Chinese investors. “This would have meant that the business location in Salzburg would have been closed.”, Kuhn said. The Austrian investor, who owns a construction machine business, purchased Emco for € 37.7m.